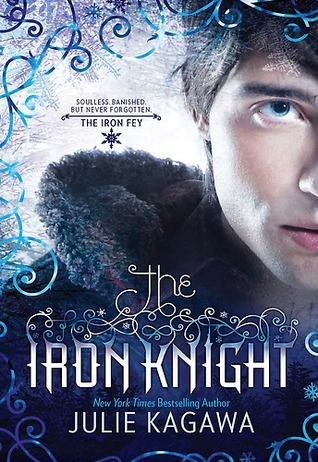 This is the last book in the series, Iron Fey. This was Ash's point of view while searching for the impossible - a cure so he can come back and live with Meghan in the Iron Realm. This will not only be his journey for a solution of becoming mortal but will also turn out as a journey for his self as he discovers what is really in his heart as he comes at peace with his past. This journey will not only challenge his battle skills but also his mental and emotional prowess. This journey wasn't his alone because Puck, Grimalkin and a Wolf will also accompany him. I'm just thankful that Puck is still in this book though I know that it must b painful to accompany your rival for a girl's attention. The book starts with Ash and Puck looking for the only animal who seems to know everything, Grimalkin. Yeah right. He's a mystery to me. Who is he, really? I have a guess that he will also appear in Kagawa's other books. The journey will lead Ash to the End of the World to claim his soul. But before he gets there, he will go through certain challenges. All his deeply buried emotions will overpower him and it will be only him that can stop it. All his anger, rage, sadness over what happened in the past will become alive putting Puck in a difficult situation since he'll be the receiver of these emotions. I guess the biggest challenge he has to face aside from the End of the World, is facing someone from his past. Yes, Ariella Tularyn is still alive. It turns out that she was alive all this time while Ash went through a lot of grief and pain. She turned into a seer, someone who can see future. She wanted to come back and tell everyone that she's alive but she saw Meghan saving the Nevernever in the future and Ash falling for her. So, much as she want to, she just stayed in the Hollow and waited for Ash to come to her. That's also a lot of sacrifice on her part. What will you do when someone you loved whom you thought was dead is still alive? You made a promise that you'll find a way to be with your present love. Would you still honor that promise and follow your journey till the end or would you abandon that promise and be with your first love? This is pretty much the dilemma Ash is facing. His old feelings for Ariella came rushing back and he didn't know what to do. Part of him wanted to forget everything and just be with her but someone was holding him back. He was confused as to what he really feels. Part of me got annoyed with Ash at this part. This was exactly why I liked Puck for Meghan. Don't get me wrong, I know Ash's state is difficult but he should be sure as to what he really feels about Meghan. It's as if, he just loved Meghan just to forget Ariella. That's unfair on Meghan's part. I know Puck was hurting witnessing all the interactions between the two and part of him wishes that Ash choose Ariella so he can be with Meghan. I wanted Puck to punch some sense into Ash's head. In the end, Ash, decided to push through with his plans. They travelled through River of Dreams to get to the End of the World. Sounds familiar to you? This River also appeared in Rick Riordan's Kane Chronicles. They were met with a lot of disasters but eventually they were led to a place to prepare them for their travel to the End. When they reached the End of the World, they were met with mind and physical challenges. I must admit that the wolf earned my respect when he sacrificed his self so that the door of the cave won't close, allowing them to pass through it. The guardian met them again and this time, it was only Ash who will undergo the challenges. He will undergo 3 stages to earn a soul: human weakness, conscience, and mortality. He was given a first hand experience of what to will he feel once his magic disappears and will only rely on his strength as a human. He went through memory lane of all the worse things he did in the past that is not acceptable with the human conscience. He experienced remorse, grief, and anger at his self for what he has done. If he can't forgive himself for the things he has done, then he might as well withdraw from the challenge. He experienced a lifetime with Meghan. He started to doubt if he was a match for Meghan who exudes power and strength. He began to feel insecure because as Meghan's age will always be the same, he'll age as years go by. He weakened and then came old age which eventually led to his mortality. I really thought that this was real and thought that Julie Kagawa forgot to include the third challenge. I started to doubt my reading comprehension. Haha! It's good that the Guardian appeared afterwards. "For a soul to be born within you, a life must be given, freely and without reservation. With this unselfish act, a soul can bloom from the sacrifice of one who loves you. Without it, you'll remain empty." For Ash to earn a soul, someone among the group will have to die for him. I don't want to spoil things (though, I guess I gave way too many infos about the book already) for you readers, but yeah, someone sacrificed and I guess you already have an idea who that person is. I'm happy that Ash and Meghan has a happy ending and for your information, Ash did not completely lost his glamour. He still has pointed ears and can still generate glamour enough to knock down an opponent. And maybe it will be enough not to age in the NeverNever. I only gave it a four because I still think that Iron Queen is the best book in the series. According to my research, it was supposed to be the last book and Iron Knight was a last minute decision. There were some parts of this book that did not appeal to me. I'm really glad I've given attention for this series because it was worth it. It may have consumed more time than I expected but I absolutely loved it. If you're into fantasy genres, this is for you people. Ash and Meghan's love story will make you hooked with this series. You're here,' I murmured, reaching out to touch him, hardly believing this was real. 'You came back.' Ash's breath hitched, and he put his hand over mine. You don't think I know that?” Puck was shouting now, green eyes feverish. “You don't think I regret what I did, every single day? You lost Ariella, but I lost you both! Believe it or not, I was kind of a mess, too, Ash. It got to a point where I actually looked forward to our random duels, because that was the only time I could talk to you. When you were freaking trying to kill me!” “Don't compare your loss to mine,” I snarled. “You have no idea what I went through, what you caused.” “You think I don't know pain?” Puck shook his head at me. “Or loss? I've been around a lot longer than you, prince! I know what love is, and I've lost my fair share, too. Just because we have a different way of handling it, doesn't mean I don't have scars of my own.” “Name one,” I scoffed. “Give me one instance where you haven't—” “Meghan Chase!” Puck roared, startling me into silence.